With the augmentation in usage of Android smart phones, technological software application and portals, Arth Infosoft software development company has developed school software, namely eduWare which is trying to create another dimension in the education sector. Utilizing technology as a strategic source for faculty, staff, parents and students is essential for education institutions to thrive in the 21st century. It wouldn’t be an exaggeration to declare that customary classrooms, textbooks and teaching processes are frozen in time, while technology has been swiftly making headway. Here is the eduWare School Management Software and its extensions named online parent web portal, CCE app and Parent app contrived by Arth Infosoft, to leverage educational institutions delineate a clear strategy for achieving business objectives too. In reality offering qualitative and effective education is on top of every schools priority list. The total number of students enrolled at any educational institution, college or school is huge. It is a colossal task to manage and maintain records of such a large number of students. School management software has come into existence to boost the managements of schools with this huge responsibility. Thus, the school Management software contrived by eduWare fosters you in various tasks such as Student Data Entry, Student General Register, Examination Marks Entry, Students/Staff Attendance, Student Leaving, Fee Collection, Transport Fee, Examination Time Table, Staff Payroll, Staff Leave Management, Daily Head-Wise Fee Collection, Due Fee Report, Staff In-Out Daily Monthly, Attendance SMS and many more. With the support of such school management software you get enhanced accountability, increased revenue of all school items and fees, quicker, automated receipting & improved inventory control. The parent application created by Arth Infosoft which is a real help for the parents who are not getting on a regular basis an update about their child. This effortlessly available app on Google play store is accessible with just a username and password which is given by the school management. All you need to do is just select school’s name, school’s section and then enters the student’s GR number and password. The detailed facility that eduware parent application helps in accessing the data of your child, get to the absenteeism details, graphical reports, access to the GR number of students, enables in knowing their children’s co-scholastic activity results, with an android mobile use the tool anywhere under the sun at any time. One of the distinguished extensions of school management software, the school web portal is an excellent tool enabling school teachers and administrators. 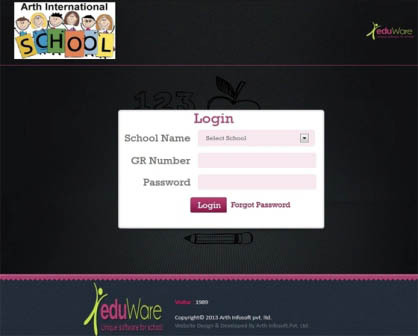 The details which the school staff feeds in the eduWare software would reflect in this portal. Vital information such as absenteeism data, important announcements, class timetable, holiday details and comparison of result through the graph is accessible using an allotted user name and password. Using this online parent application you can increase direct parent interaction with the school. Along with information regarding academics get to share school news, events and even enable families to update contact information. 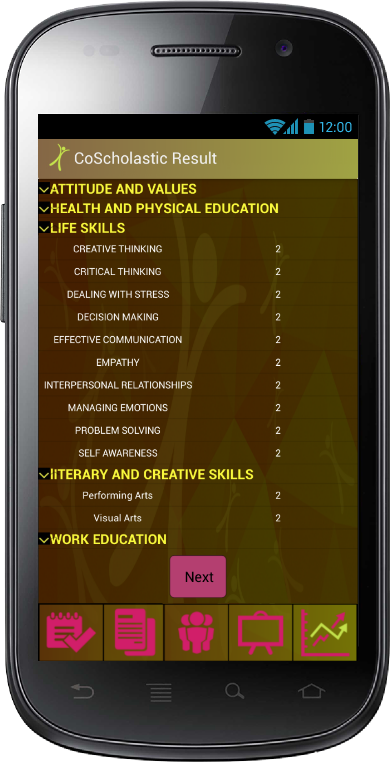 This student CCE App is a cutting-edge android application that Arth Infosoft has made which is more user-friendly, effortless to use, handy and at the same time useful in alleviating the burden of the teacher. The application has been developed considering the Continuous and Comprehensive Evaluation (CCE) report system in the CBSE format espousing schools. 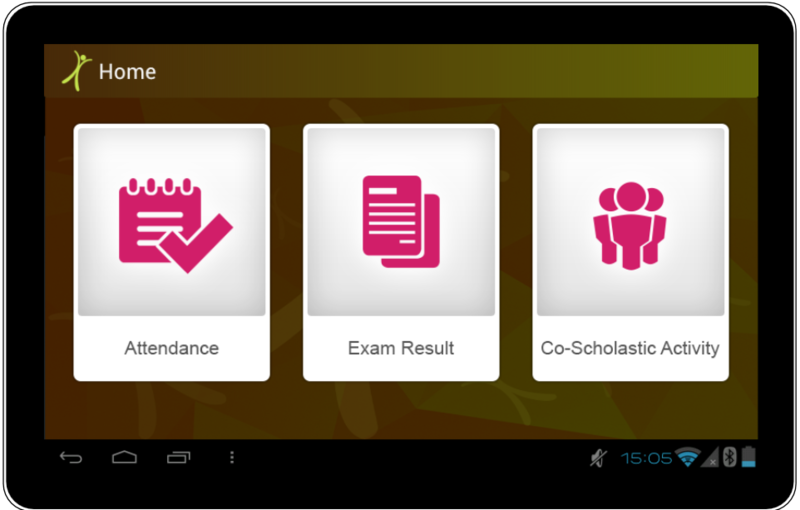 This android app manages the examination marks, student’s attendance and co-scholastic activity remarks. This supports teachers in managing all these responsibilities in just few simple clicks from anywhere and at anytime. This CCE application is by having a separate login user. Now managing attendance, exam result and co-scholastic activity is a cake walk for school teachers.